General Mills has announced it will be phasing out the use of artificial flavors and colors from its products. Specifically, the move targets all of the company’s fruit-flavored snacks, a category that includes items such as “Fruit by the Foot,” “Fruit Roll-Ups,” “Gushers,” and the “shapes” products (fruit-flavored gummies in the shapes of various characters from children’s television programs). The transition is to be accomplished in phases. The new formulation of shapes products are expected to reach shelves beginning in January 2016, with the full shapes line transitioning by the end of March. The rest of the company’s reformulated fruit-flavored snacks are expected to follow by the end of 2017. In its statement, General Mills says that the artificial ingredients will be replaced by fruit and vegetable juices, as well as other sources of natural flavoring and coloring. The company hopes this move will make its products more popular with parents who have been increasingly reluctant to purchase such snacks for their kids, citing concerns about artificial ingredients. A survey by General Mills shows that more than half of the people who eat its fruit-flavored snacks would be more likely to purchase more of the product(s) if the artificial colors and flavors were removed. It is currently unclear how much the reformulation will affect the taste of the products in question. Whether consumers, particularly children, will still like the snacks after the formula changes remains to be seen. 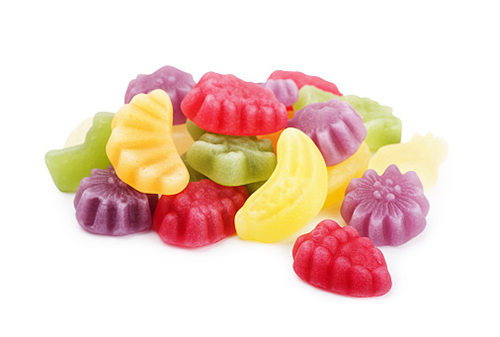 “General Mills Removing Artificial Ingredients from Fruit Snacks, Fruit Roll-Ups,” CBC news web site, August 27, 2015; http://www.cbc.ca/news/business/general-mills-removing-artificial-ingredients-from-fruit-snacks-fruit-roll-ups-1.3206319. Hunt, K., “A natural move for fruit-flavored snacks,” Taste of General Mills web site, August 12, 2015; http://www.blog.generalmills.com/2015/08/a-natural-move-for-fruit-flavored-snacks/.